There are over 1,500 spider species in North Carolina but before you burn your house down and move out of the state, keep reading. Not all of the spiders that live here are dangerous. 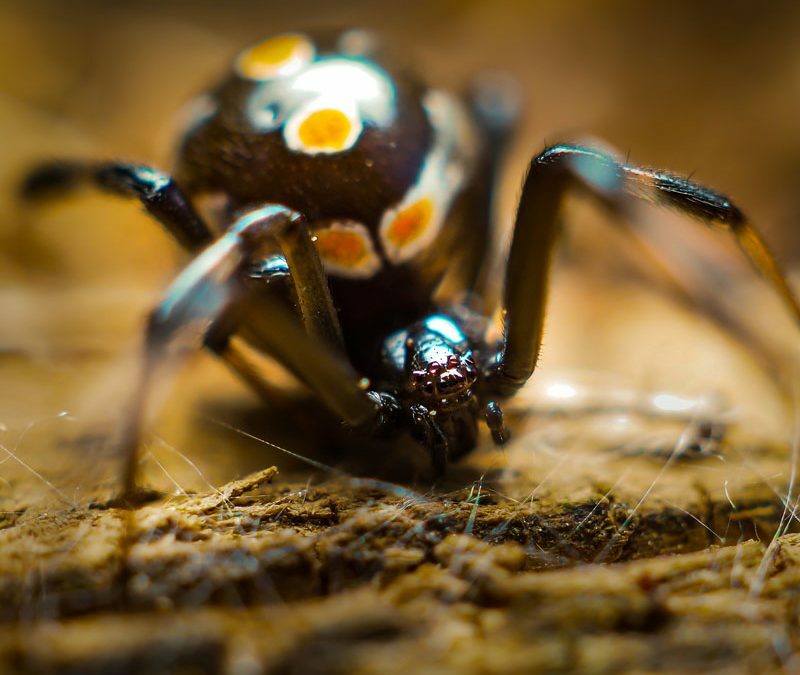 Yes, all spiders produce some level of poison but not all are harmful to humans. In fact, there are only two species of venomous spiders in North Carolina that you actually need to look out for. The most notorious and most feared spider in America. Just the drop of the name makes your skin crawl. 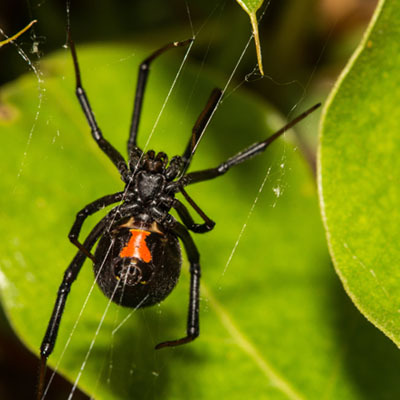 Of all the spider species in North America the black widow is probably the most recognizable with its iconic red hourglass under its abdomen. Black widow webs are messy looking in appearance stronger than most spiders’. 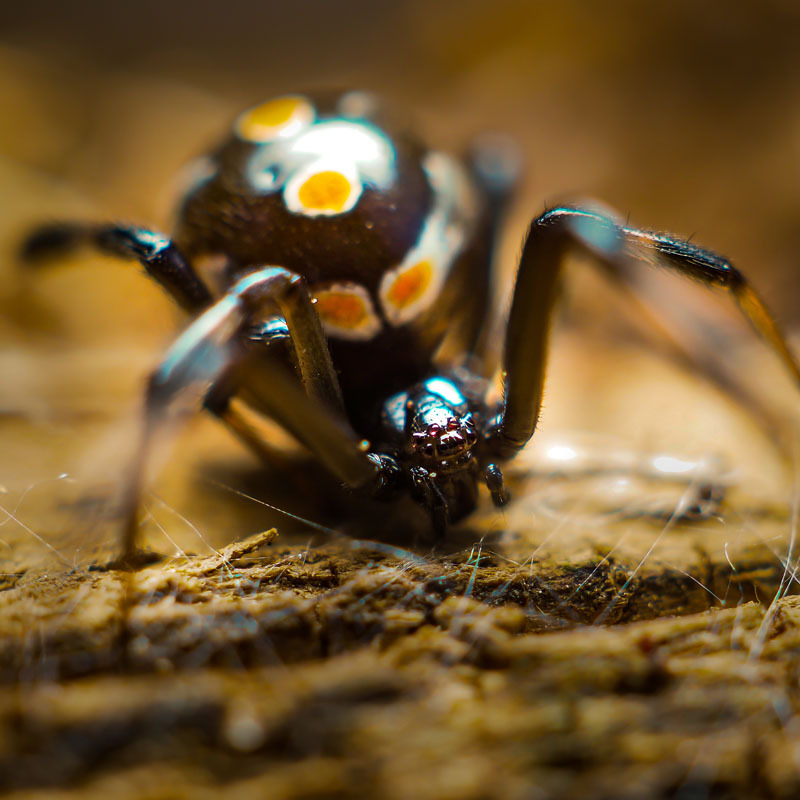 The black widow spider is nocturnal and prefers to stay hidden most of the time. Although their venom can pack a punch, they are not known to be aggressive and only bite when threatened. 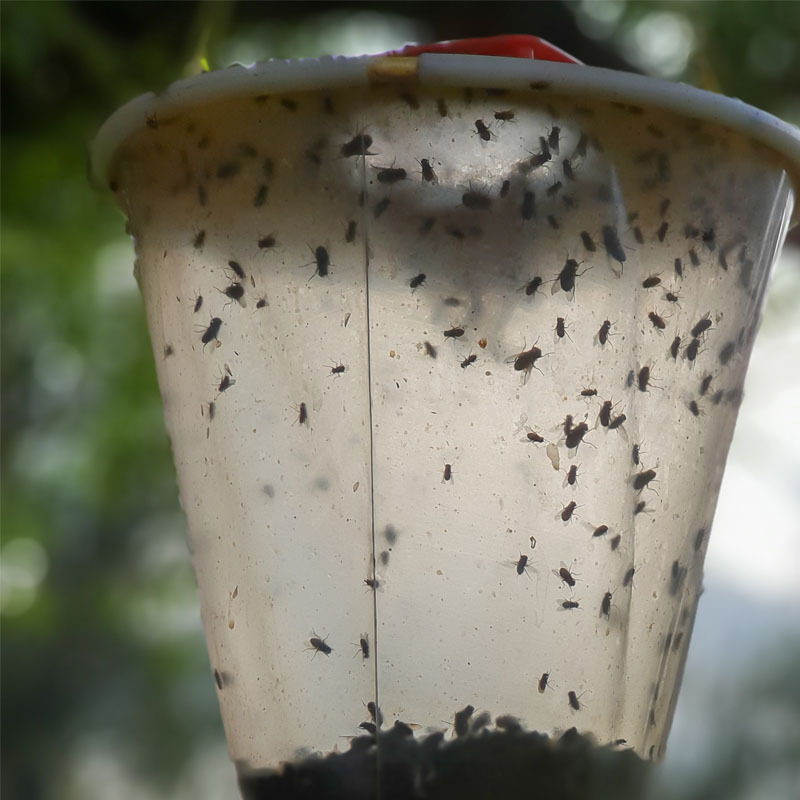 So you don’t have to worry about one crawling on you at night. Black widows can live anywhere they can string a web. During cold months they seek out places to overwinter. Their metabolism slows down and they go into a state of hibernation but can still remain active if they make it into a warm house. Another spider known for its bite is the brown recluse. These spiders are brown and identified by the black mark on their abdomen that looks like a violin. These spiders build small webs in hidden places where they remain until night when they come out in search of food. Brown recluses like to hide in the darkest areas of your home such as the basement or attic, places that people don’t usually go. Though they aren’t usually aggressive, they will bite if they feel threatened. The infamous bite of a brown recluse can cause skin cells to die in the area surrounding the spider bite, known as necrosis. This can lead to infection, and in rare cases death. If you are bitten by a brown recluse or a black widow seek medical attention immediately. Wear gloves, long pants, and sleeves when working in sheds, attics, or basements. Avoid walking around barefoot in areas that could be habitats for these spiders. Always shake your shoes out before putting them on, especially if they are left in the garage. Don’t feel uneasy in your own home. 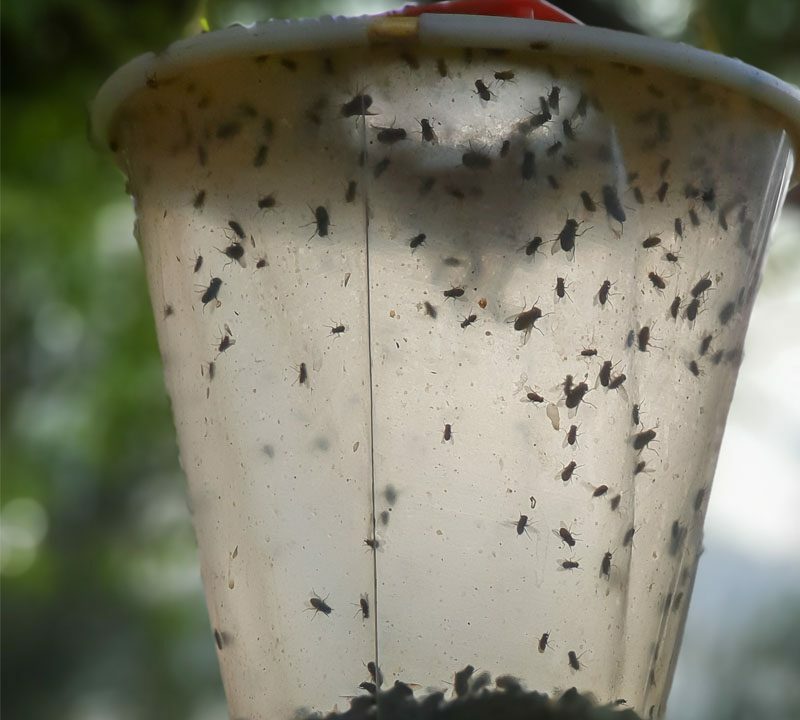 If you have a pest problem contact the pros at Cramer Pest Control at one of our two locations or leave a message on our site.